CD with a live recording of Gustav Mahler's "Symphony No. 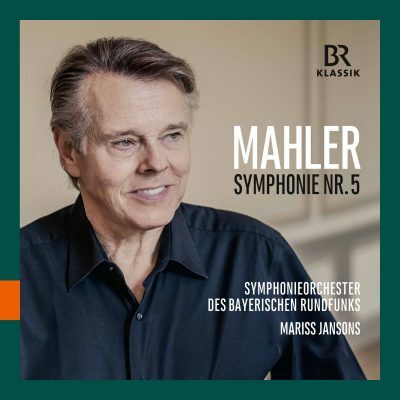 5" with the Symphonieorchester des Bayerischen Rundfunks and Mariss Jansons of 10/11 March 2016 from the "Philharmonie im Gasteig" in Munich. All Mahler scholars have agreed from the very start that Gustav Mahler embarked on an entirely new path with his Fifth Symphony. Even for his immediate contemporaries, such as the conductor Bruno Walter or the music critic Paul Bekker, the Fifth marked the beginning of a new creative phase, and Mahler himself was also keenly aware of this – which is why he was all the more upset by the fact that his work was not understood at its premiere in Cologne in October 1904 and, even later, met with a largely negative reception. In 1905, following an unsuccessful performance in Hamburg, the composer complained: “The Fifth is an accursed work. No-one understands it.” It was only after Mahler’s death in May 1911 that people slowly began to appreciate the piece. The Fifth ranks today as one of Mahler’s most popular symphonies. This is due in part to Luchino Visconti’s 1971 film adaptation of Thomas Mann’s novella “Death in Venice”, which used the symphony’s world-famous Adagietto to great effect: the movement enjoyed unanimous approval from the very start, and has now advanced to become Mahler’s “greatest hit” and the most famous work in his entire oeuvre. In its structure, the work does not follow the classic four-movement form, but presents us with five movements in three sections. Conceptually, Mahler relies on methods he had already tried and tested in the work’s great predecessors, the Second and Third Symphonies. The centerpiece of the work is a lengthy scherzo full of grotesque humour, inspired by Jean Paul, while its resting-point is the Adagietto, which certainly bears many of the hallmarks of Mahler’s slow movements. The harsher sound of this symphony ushered in a new creative phase for Mahler – one that he developed further in the Sixth. The maximum use he makes of the tonal means available already clearly anticipates the Ninth, in which he begins to abandon tonality altogether and encompass the transcendental aspect of the music. This Munich concert event of March 2016, now released as a CD by BR KLASSIK, is an outstanding interpretation of one of the most important compositions of the international symphonic repertoire of the early 20th century.